With outsourced portfolios now at the core of the wealth management industry, vendors used to life on the fringes have an opportunity to carve share from entrenched incumbents. Click cover for our profiles of this year's most dynamic outsourced asset management programs. Every year we survey the outsourced asset management landscape and profile the most exciting players in the field. This year there are 19 companies on the list. You can download it HERE. These companies collectively run $690 billion in assets for the advisors who work with them. That’s not a niche market segment any more. It’s as close to the status quo as it gets without hitting State Street or Schwab scale. 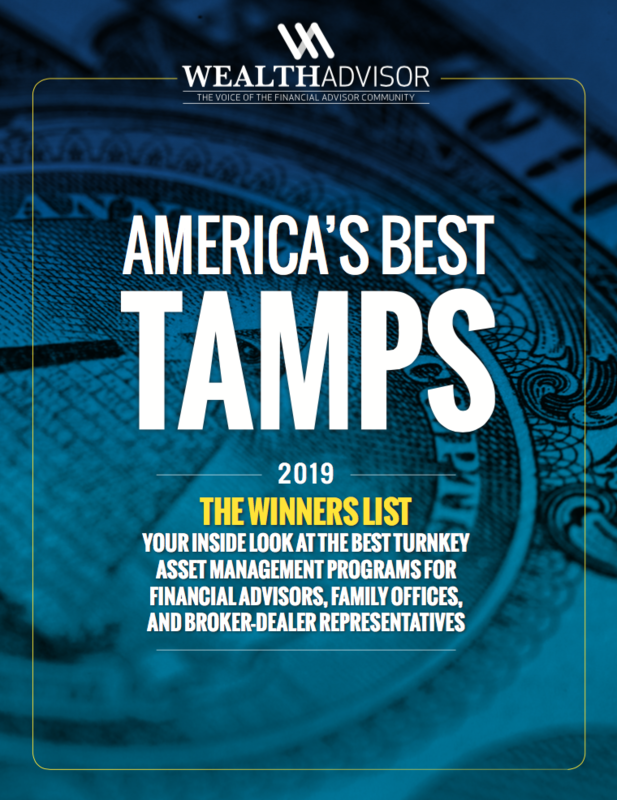 At the most elemental level of AUM, the turnkey asset management program (TAMP) has finally arrived as an alternative to traditional methods of building the client portfolio. If you’re not engaged with these systems, odds are good now the decision was deliberate and not simply a matter of never hearing the message. Dwight Dettloff, CPA, of Winding Trail Financial Planning, who started his firm last year, has never operated without a TAMP. The message is out there. The power of the approach is clear. It’s up to the vendors to make the case that their platform is the perfect fit for your practice. And that’s where this year has already gotten extremely interesting. When asset prices stop giving AUM a natural lift, most advisors delay strategic decisions in order to focus on riding the storm. We’re seeing that. Four out of five of our readers tell us they’re diverting behind-the-scenes technology budgets to initiatives that directly feed client satisfaction and retention. They’re hesitant about chasing growth even though there’s clearly blood in the water. Maybe they’ll stop playing defense when the market mood calms . . . months or years from now. In the meantime, it takes confidence to rock the boat knowing your choices will either land big fish or sink you outright. The elite $690 billion Wealth Advisor club of TAMP providers is dealing with these dynamics too. When the ocean turns red, their scale almost ensures that they’re the ones nursing wounds. Some retreat. Others press the attack. Among the biggest players around, FTJ FundChoice and AssetMark are clearly on the hunt. 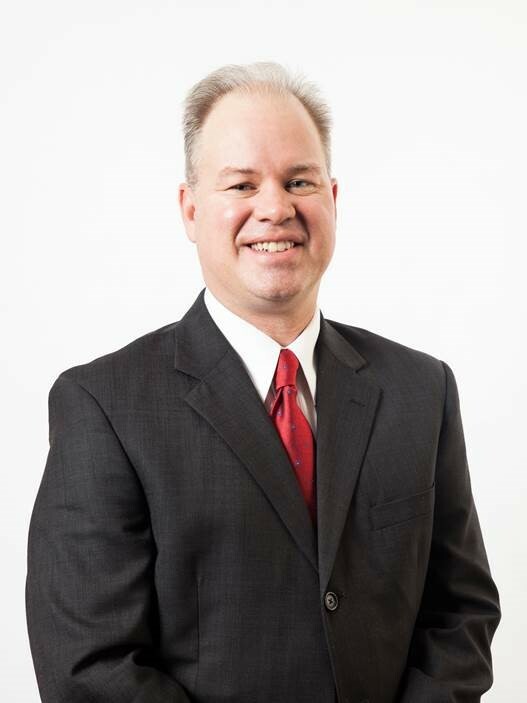 Dean Cook, FTJ FundChoice: Energized, well connected and ready to conquer the world with a differentiated tech-portfolio solution. FTJ CEO Dean Cook is energized after his $10 billion firm’s acquisition and union with technology giant Orion Advisor Services, creating an integrated package of portfolio strategies with the software that helps advisors deploy them. Now it's his dream to convert Orion's $600 billion reach and knock the $500 billion Envestnet off its perch, making him a No. 1 player next year. While that expansion will come at the expense of slower incumbents, he’s looking forward to moving up the food chain fast. AssetMark is also still focused on carving up competitors even after five years in a row of what Chief Client Officer Michael Kim tells us is 20% annualized growth. At $47 billion, scale is already his friend. In a year when the S&P 500 dropped 6%, any organic growth at all is impressive. Run these numbers and AssetMark affiliates effectively captured $22 from rivals last year for every $100 in AUM they started with. They’re eating the industry’s lunch. And on a larger level, the TAMPs looking to grow in 2019 and beyond are looking for weak swimmers. You don’t have to be the biggest or even the best platform around. All you need is to be a little better than someone else. For AssetMark, the only bigger fish on our list left to outswim are SEI and Envestnet. The latter firm, in particular, expanded explosively through acquisitions and now has few easy opportunities left to capture. Even absorbing a $10 billion TAMP only boosts the AUM numbers 2%. That’s not enough to keep a giant shark swimming much less make shareholders happy. And in the meantime, every $1 billion rivals can carve off the giant is practically a feast. These accounts are transformational in terms of scale, worth chasing. AssetMark is chasing them. Brinker Capital is chasing them. FTJ FundChoice is definitely interested. Every 0.1% of the Envestnet universe they capture grows their presence 10%. That’s a lot of motivation to swim a little harder, especially with Orion acting as their own friendly technology platform. “Advisors are facing challenges and opportunities obviously to provide more and more services to baby boomers as they are in or approaching retirement. They’re faced with the challenge of how to scale their firms,” says Eric Clarke, Orion CEO. When times are good, technology is the sizzle that entices prospects onto a platform. Provide a few differentiated tools (at a discount or even at a loss) and sooner or later you’ll get a chance to sell a deeper relationship. It’s similar to what a lot of advisors do now with mass affluent accounts, as gurus like Michael Kitces have told us over the years. Capturing advisory fees now enables bigger wins on the AUM front down the road. In this model, the portfolio — the managers, proprietary strategies and allocations — is the sizzle, the product that brings people to the table. Locking down long-term relationships to your technology platform is the steak. The technology-driven TAMPs are hungry for that platform win. Everyone else rises and falls according to how well their portfolio solutions measure up. Put yourself in your client’s position for one moment. Which aspect of your operation matters to them? And the thing about the platforms is it’s all about scale, squeezing basis points out of trillions of dollars. That’s custodian-level scale, major ETF or wrap sponsor scale. It’s a commodity business where fees slide to zero. Look at BlackRock. We admire their size but I wouldn’t tell anyone to buy the stock right now when Fidelity and Vanguard have crashed expense ratios for all but a handful of prestige players. Most of the TAMPs we profile this year are prestige players or want to be. Names like Dunham, competing on performance. Curated platforms. Startups with innovative ideas like relatively tiny SMArtX Advisory Solutions, which enables true intraday allocation changes and manager-level attribution. We’ll talk more about them down the road. These are the big fish of tomorrow. The future will be won by better ideas, Chip Roame at Tiburon tells us. Pricing can always decline, he says, but look for a partner that can extend your service model. This year’s edition of America’s Best TAMPs is ready for download HERE.